Are you looking to buy a home or consolidate some debt? You may have limited options if your credit cards are maxed out as this lowers your credit score. What Is A Credit History Anyway? A credit report shows a history of how consistently you pay your financial obligations. It is created when you first borrow money or apply for credit and is built over time. You can obtain your credit report by phone, fax, or the easiest through a credit-reporting agency such as Equifax or TransUnion Canada. 25.2 years to pay off the balance!!! minimum payment and $ 12,241 in Interest. Essentially your purchased cost you more than double. 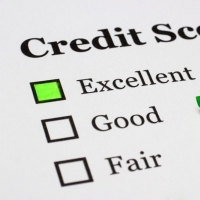 Make sure you have a credit history: you may not have a score because you do not have a record of owing money and paying it back. Don't forget, being in the real estate industry for almost 32 years means I have many connections and resources at my fingertips. Call me for assistance!